I absolutely love getting FREE codes for Redbox DVD & Game Rentals! 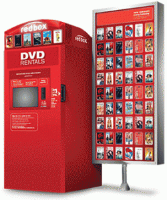 To get a FREE Redbox Video Game Rental just text HAPPY to 727272 to receive your code! The code will ONLY work at the kiosk and not online.